BLOOMINGTON — The U.S. Environmental Protection Agency has extended the registration for two years for over-the-top, or in-season, usage of the controversial herbicide dicamba. However, there are new usage and label regulations intended to lessen the number of incidents of off-target applications of the weed killer, which can decimate non-GMO soybeans and specialty crops that are not dicamba-tolerant. Because EPA did not issue its ruling until Oct. 31, IFCA and others will be left scrambling to fill a schedule of statewide, mandatory training and certification classes for applicators of dicamba. In 2017, IFCA began their classroom training on Nov. 4. This year, retailers and organizations such as IFCA are still awaiting their first look at the new labels. “It’s going to be probably after Thanksgiving this year before we can get training started, by the time we get everything lined up,” said Payne. We will feature more of Jean’s comments on the dicamba issue in next week’s column. URBANA — Current market conditions support an acreage increase in corn and a reduction in soybeans in 2019, according to University of Illinois farm economist Todd Hubbs. In his weekly outlook for the U of I College of Agricultural, Consumer and Environmental Sciences, Hubbs said that though planted acreage for all principal crops will decrease from 2018 totals, soybean acreage will likely slide the most. In Illinois, corn fetched an average of $3.38 per bushel in September 2018, up 11 cents from the same time last year. Soybeans sold for $9.08/bu. in September, which was down 43 cents from the $9.51/bu. paid in Illinois at the same time in 2017, according to the Oct. 30 Illinois Agricultural Prices report from the USDA. Angel made note of the “impressive” precipitation totals in northern Illinois during the month. “Several stations have received over 50 inches of precipitation through Oct. 31, including Elizabeth (Jo Daviess County) with 54.45 inches. That is 22.66 inches above normal!” he reported. The topsy-turvy weather did little to restrict farmers’ harvest activities, by the looks of the Oct. 29 USDA-NASS Illinois Crop Progress and Condition report. The Illinois corn harvest was at 89 percent, compared to 71 percent last year, while soybeans were 86 percent harvested, putting them on essentially the same pace as last year’s bean harvest. 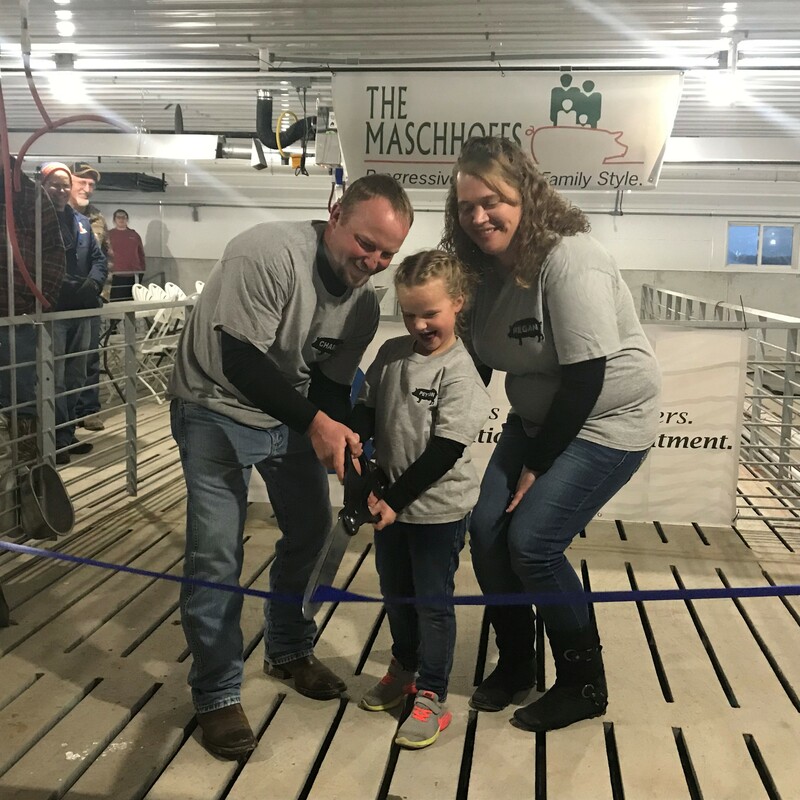 DONNELLSON — A Montgomery and Bond County farmer and his family celebrated the addition of a 2,480-head pig barn to their family farm, which for the past 13 years had raised only row crops. Charlie Coleman, the fifth generation of Colemans to farm in the area, invited friends and locals to the barn for an open house and meal to celebrate the addition to the farm on Nov. 1.